No bride wants to deal with bacne - acne on the back - when she’s got just a month left for her wedding! Stress, sleep deprivation, unhealthy eating and hormonal imbalances can take a toll on your delicate skin. No need to book an appointment with the dermatologist just yet, give these home remedies a shot first. They cost nothing and are super effective. Bacne be gone now! 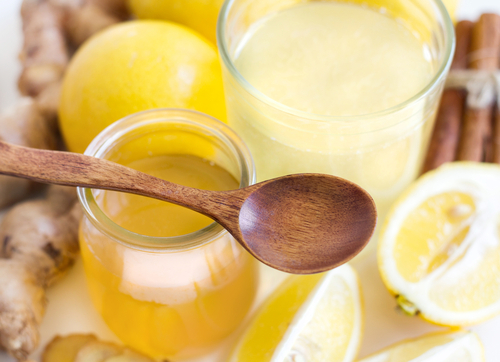 Since lemon juice contains citric acid, it’s perfect for treating back acne! It will not only open your pores, but will cleanse the dirt, grime and oil too. Step 1: Slice a lemon in half, and squeeze its juice into a bowl. Step 2: Dip a ball of cotton into the bowl and apply the juice on the acne-prone area. Step 3: Leave to dry and after 2-3 hours, wash it off with lukewarm water. If you have oily skin, multani mitti will do your skin good. It will absorb the oil and lighten the scars too. Step 1: Add 1 tablespoon of multani mitti, sandalwood powder and some rose water into a bowl. Step 2: Use a spoon to blend and mix all 3 ingredients. Step 3: Use your fingertips to apply this paste on your back. Step 4: Leave the mask to dry up and harden for an hour before you wash it with cold water. 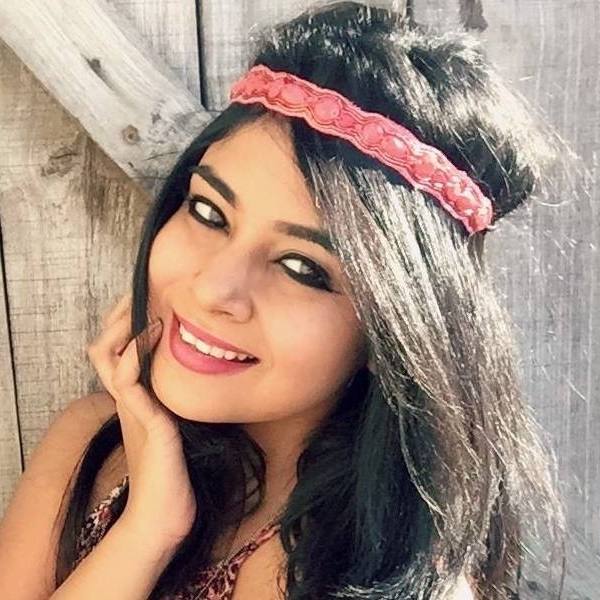 Also read: Glossy Hair In Just Two Months: 7 Home Remedies For The Bride! 3. Have You Tried Orange Peels Yet? Did you know that oranges contain retinol that helps improve the texture of your skin? 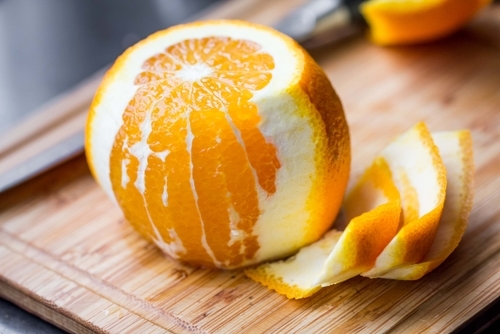 If rubbed well against your skin, orange peels can also remove dead skin cells. And thanks to its vitamin C content, you’ll also get brighter skin at the same time. Step 1: Peel an orange, place the peel under the sun for 2 days and let it dry up. Step 2: Once the peels have dried up, mash them using a grinding stone and pour the powder into a bowl. Step 3: Add 3 tablespoons of water and mix well. Step 4: Apply this on your skin and leave it to soak for 10-15 minutes. Step 5: Wash it off with chilled water after. The reason why sea salt works like a charm is because it can dry your skin up and clean up that excess oil. You must try it to believe it! Step 1: Pour 1½ cup of sea salt into a tub of water. Step 2: Dip yourself in it and relax there for 30-45 minutes. Step 3: Wash yourself with plain water and don’t use any product after. Step 4: Towel dry your body. 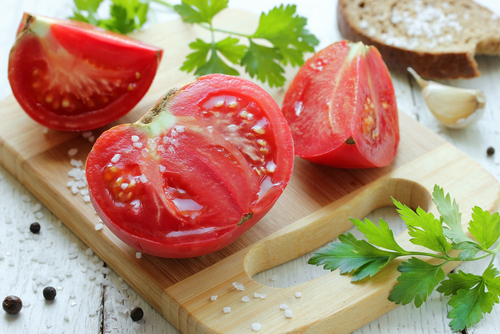 Tomatoes are simply amazing because of their acidic nature and bleaching properties. A perfect and natural way to get rid of bacne. Step 1: Cut 2 ripe tomatoes into fine slices. Step 2: Place them into a mixer. Step 3: Scoop out its pulp and empty it into a bowl. Step 4: Apply the pulp on your bacne and leave it to dry for 2 hours or more. Step 5: Wash it off with warm water after. Also read: 7 AMAZING Home Remedies To Remove Your Tan Before The Shaadi! Pineapples do a fine job at reducing scars and acne because they have anti-inflammatory properties. Plus, they’re yummy too! Step 1: Juice some pineapple chunks in a juicer. Step 2: Dip your cotton ball to soak in the juice. Step 3: Gently apply it over your scars and acne. Step 4: Leave the juice to dry up and wash it with chilled water after. Can you believe how such a tiny clove can cure bacne like a pro? Due to its antifungal and antibiotic properties, it’s quite possible. No more scars for you. 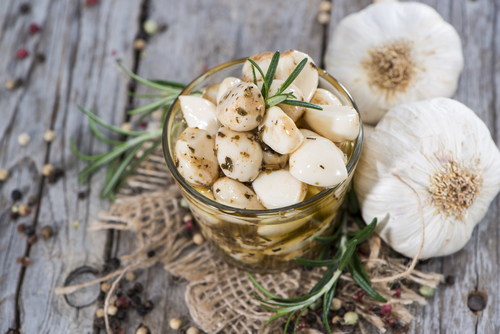 Step 1: Take 4-6 cloves of garlic and crush them using the side of your knife.